Gingerbread houses are pretty and fun to make but are not always convenient to eat. With over two hours of baking and preparation time required, this cheesecake recipe is fairly elaborate. However, as it calls for gingerbread snap cookies, molasses, nutmeg, cloves and cinnamon, you will have a spicy, full-flavored dessert to enjoy once it’s finished. Requiring only three easy steps and 7 ingredients including cookie crust and a jar of maraschino cherries, this can be made quickly yet yields a high-quality dessert. The only downside is its richness – each slice is almost 700 calories. This can be categorized as a sophisticated type of cheesecake which combines chocolate and mint in order to create a distinct and unique taste. The recipe, which requires 25 of preparation time, calls for 35 crushed chocolate wafers and 1/3 cup of creme de menthe. Fancy! 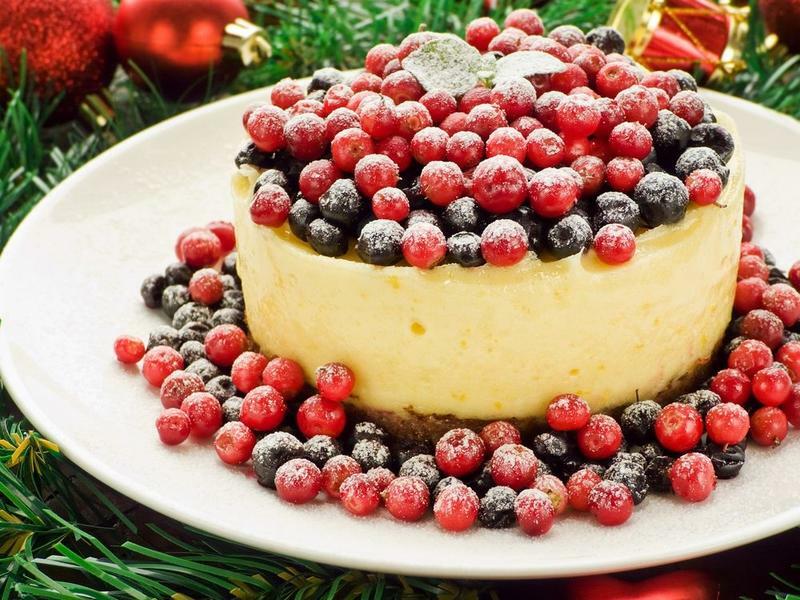 This cheesecake is ideal for the holidays as it has a smooth consistency and features the traditional Christmas colours of red and white. While those who have experience making cheesecakes may find the recipes for this particular type to be too elaborate, anyone who is willing to spend the time and effort will be pleased with the results. Red Velvet cupcakes and cakes have become trendy in the past few years so it’s no surprise that cheesecake recipes have followed suit. Further, the rich color contrast between the red filling and dark brown cocoa cookie crust makes it the ideal cheesecake for the season. It serves 16, making it ideal for larger gatherings. The Best Christmas Towns in the U.S.A.